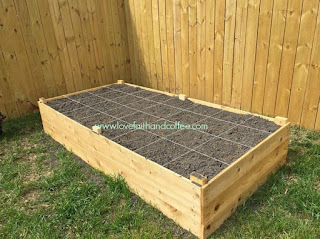 Garden of Abundance: Our 2016 Raised Garden Adventure / Love, Faith.....and Coffee! A little over a year ago we began the journey of looking for a new home. We wanted to upgrade from a small 2 bedroom condo with no property to a bigger home with a little green space of our own. One of my biggest requests was to have enough space for a garden. In September of last year, we closed on a 4 bedroom house with a little backyard. 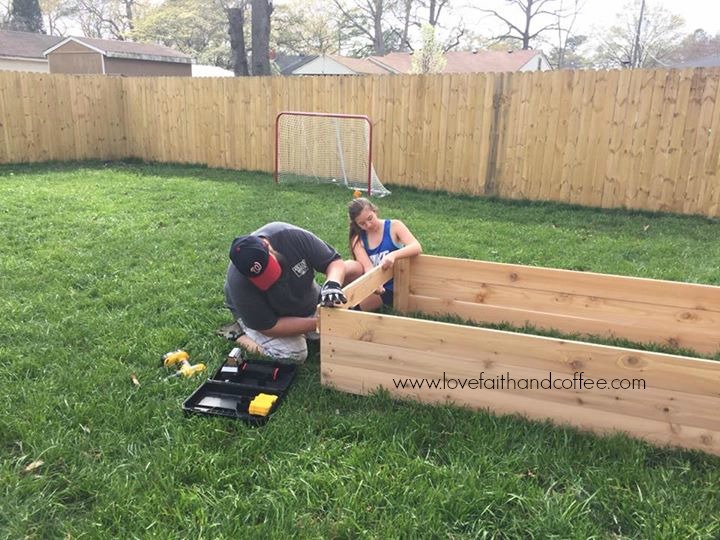 Perfect for our daughter, 2 mini dachshunds and a garden! 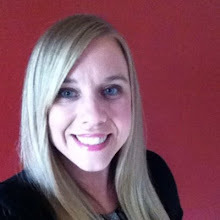 All fall and winter I researched raised gardens, spent hours on Pinterest, and drafted up plans for my garden. 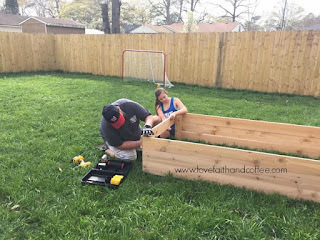 Finally in April, my husband (with a little help from our daughter) built a raised bed for me. After 2 truckloads of compost/soil mix from our local garden store Enchanted Nursery & Stone. I had a awesome 4X8 garden ready and waiting for plants. Follow along as I document our 2016 garden adventure, if you have any questions along the way just ask and I'll be sure to answer them! The next post will have the plant diagram, pictures of the plants, and more of the journey.